We always knew Kanab was magical. Now we've been noticed and ranked. Come check us out! This is Karen Heet from Adobe Realty with your Kanab Real Estate Round Up for the month of January 2018. In January, a total of 10 homes sold – that’s stick built and manufactured – for an average home price of $301,406 and an average square foot price of $141. (A couple of $500,000+ homes were sold this month and they drove up the average price). We closed out the month with 7 homes pending contracts and 21 homes active on the market. Please call me at 435-689-1414 or email karenloveskanab@gmail.com if you have questions about buying or selling in Kanab. Take care, and I’ll see you out on the trails! This is Karen Heet from Adobe Realty with your Kanab Real Estate Round Up for the month of December 2017, including a year-end summary of the market. In December, a total of 7 homes sold – that’s stick built and manufactured – for an average home price of $271,214 and an average square foot price of $181. We closed out the month with 7 homes pending contracts and 26 homes active on the market. 2017 was a very hot year for real estate in Kanab. A total of 107 homes sold with an average sales price of $219,466, an average square foot price of $123/sf, and a 98% sales price to list price ratio. This is Karen Heet, from Adobe Realty, with your Kanab Real Estate Round Up for the month of November 2017. Last month, a total of 12 homes sold – that’s stick built and manufactured – for an average home price of $216,010 and an average square foot price of $120. We closed out the month with 9 homes pending contracts and 25 homes active on the market. As we slide into the holidays, this is one of the best times to visit Kanab since the National parks are less crowded and the pace is slower, but our skies are still true-blue. Call me at 435-689-1414 or email karenloveskanab@gmail.com if you have questions about buying or selling in Kanab. Hello, and Welcome to November! This is Karen Heet, from Adobe Realty, with your Kanab Real Estate Round Up for the month of October 2017. Last month, a total of 8 homes sold – that’s stick built and manufactured – for an average home price of $170,469 and an average square foot price of $130.67. We closed out the month with 12 homes pending contracts and 26 homes active on the market. If you weren’t here last month, you missed seeing the cast and crew of the HBO series WestWorld out and about town filming the 2018 season. This month we’ll have our annual Christmas Light Parade and Lantern Launch on November 25th as we gear up for the holidays. November is a fabulous time of the year in Kanab. The sun is shining, the night air is crisp, and there is just a little slower pace in town. 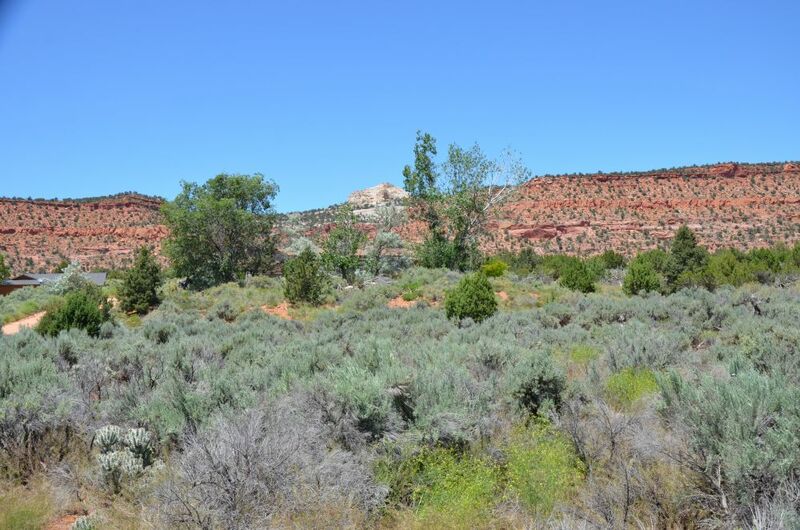 Summer is coming to a close, but the real estate market in Kanab is still hot. 11 homes sold in August with an average sales price of $254,896. I'm including the stats over time so that you can see the trends. If you have questions about real estate, neighborhoods, etc., please don't hesitate to contact me. Thanks, and be sure to spend time with those you love! Hello, all of you good people out there! This is Karen Heet, from Adobe Realty, with your Kanab Real Estate Round Up for the month of July 2017. Last month, a total of 5 homes sold – that’s stick built and manufactured – for an average home price of $223,828 and an average square foot price of $119. We closed out the month with 14 homes pending contracts and 31 homes active on the market. We’re coming out of the Dog Days of Summer and folks want to be in their new home before school starts in the Fall, so if you’d like to sell, now is the time to get your home on the market! This is Karen Heet, from Adobe Realty, with your Kanab Real Estate Round Up for the month of June 2017. Last month, a total of 10 homes sold – that’s stick built and manufactured – for an average home price of $231,985 and an average square foot price of $121.45. We closed out the month with 12 homes pending contracts and 33 homes active on the market. We are going into the hot summer months, both in temperature and home sales, as folks want to be in their new home before school starts in the Fall, so if you’d like to sell, now is the time to get your home on the market! Open House Saturday, June 24, 2017 from 1-4pm at 4967 E Rock Ledge Lane, Kanab, UT. Enjoy beautiful views and easy access to BLM land from this well-priced fixer-upper! Here is your chance to put your own stamp on a property, and truly make it yours. This three bedroom, 2 bath manufactured home needs some TLC, but its full of possibilities! The master bedroom and bath are on the opposite side of the home from the guest rooms and bath, making it the perfect room mate situation. The property sits at the foot of BLM land, and has direct access to it. New construction is happening all around it. Make your dreams a reality!